Written by David Hagger on 31 December 2013 . 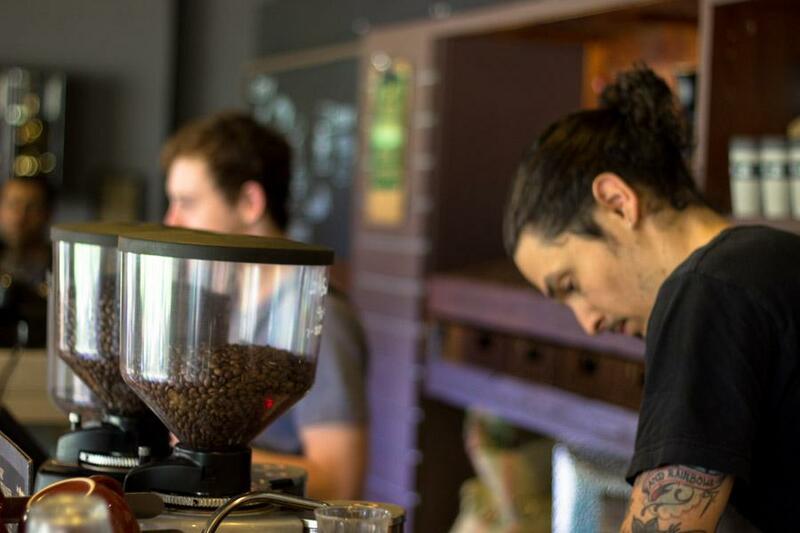 Bean Drinking is an eclectic cafe in Crows Nest with a devotion to all things coffee and cuisine that impresses. I met up with a PR whiz to discuss marketing and enjoy one of Sydney's best cafes. Crows Nest itself is an appealing precinct with several eye catching cafes and restaurants. Getting a table at Bean Drinking can be an issue even though the cafe stretches out into the outdoor area next to green green grass. Such serenity. Bean Drinking has its own "coffee lab", serving up ‘batch brew’, ‘pour over’, ‘Syphon’, 'Tasting Flight" (any 3 drinks from the Lab), ‘Cascara’ (coffee cherry tea), 'Sparkling Cold Drip' and ‘Cold Drip’. The SMH awarded Bean Drinking 3 cups so they are top of the class. It's a top notch coffee menu with expert baristas using Synesso and Slayer heavy artillery. Written by David Hagger on 12 April 2015 . Written by David Hagger on 26 December 2013 . Coco Cubano is a Cuban inspired chain of coffee houses that serves up tasty meals and fine coffee. We visited Coco Cubano in Rouse Hill over the Christmas break and enjoyed the European ambience and fare. Sit back inside the cafe and admire the decor and staff in their chic uniforms. The Oven Baked Eggs included free range eggs baked w/ chorizo, beans, arrabiata, fresh salsa served w/ sourdough toast, a hearty breakfast. Along with a satisfying latte. Written by David Hagger on 05 September 2014 . Devon Cafe in Surry Hills has to be one of the best cafes in Australia. The pedigree is unmistakable - as the sous chef from iconic Bistro Guillaume Zacharay Tan and Jacqui Ektoros from former Guillaime at Bennelong have partnered to create the Devon Café. Written by David Hagger on 29 December 2015 . Din Tai Fung is a dumpling sensation, and a place The World Loves Sydney was keen to experience. Over the years we have imbibed the best the dumpling world has to offer, having a penchant for dumplings and all. Guzman Y Gomez is a top notch fast food Mexican restaurant with many outlets, but the one in Crows Nest is a winner. Even in the peak of holiday season this place gets packed out at lunch times. I love their deal with only $1 extra for water or soft drink. Staff here are friendly and engage a bit more than just "hi, what do you want?" and can actually chat with customers. Pizza fix? How about Love Supreme in Paddington? Feel the love in this Italian inspired rustic elongated sleek restaurant with wood pile, tins, wine bottles galore, large kitchen and ambient tables. Italian style pizza is our weakness and Love Supreme delivers. Reuben Hills is a uber cafe in trendy Surry Hills that sings with a cacaphony of first class cuisine exuding a playful touch, a chic ambience and top notch coffee. We visired Reuben Hills as part of a sojourn in Surry Hills staying at the Cambridge Hotel nearby. Lining up for 40 minutes on a week day to get in for brunch may seem overbearing, but we soon discovered it was all well worth it. 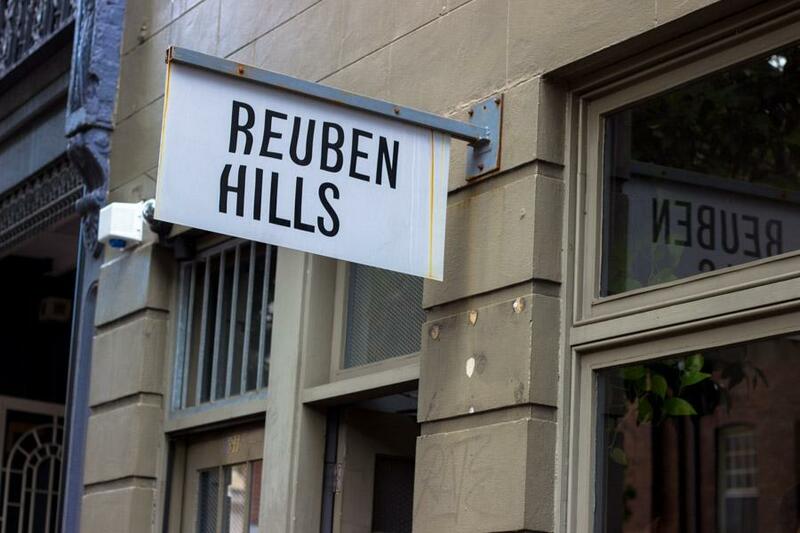 Impressive was the maitre'D giving us regular reports on how the table availablity was looking... Reuben Hills is an elongated and elegant space with exposed brick on a section of the wall and high ceilings.